At our clinic we deal with a lot of patients with chronic (long standing) musculoskeletal problems, such as backs, necks, shoulders etc. In addition to the type of care we provide, these conditions often need large amounts of massage type treatment. 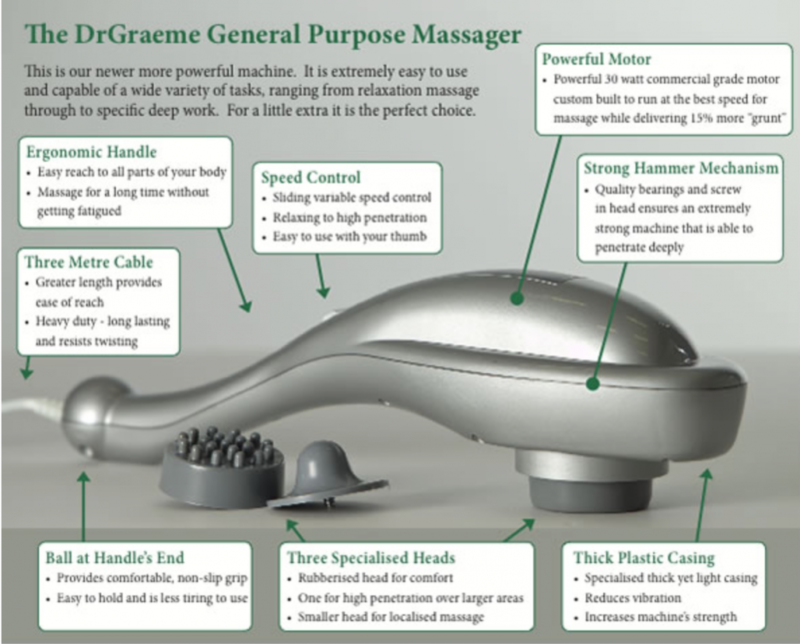 The general purpose massager is ideal for self massage in between chiropractic appointments. 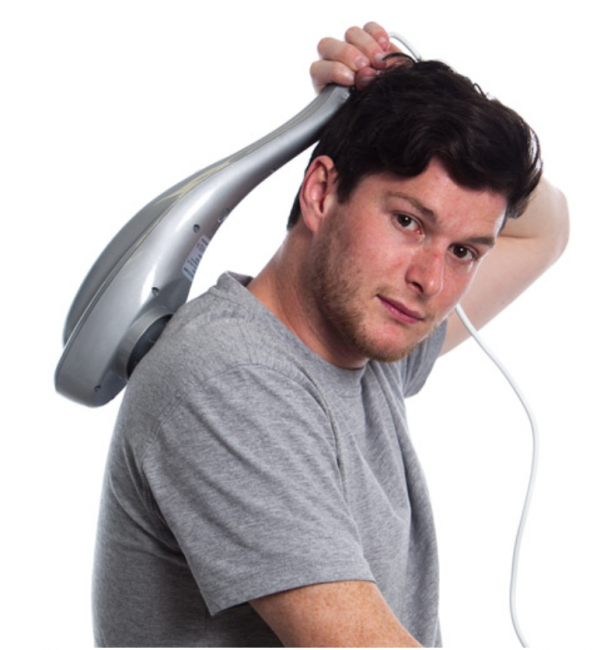 It is easy enough for you to use at home, yet out-performs most higher price professional massagers. 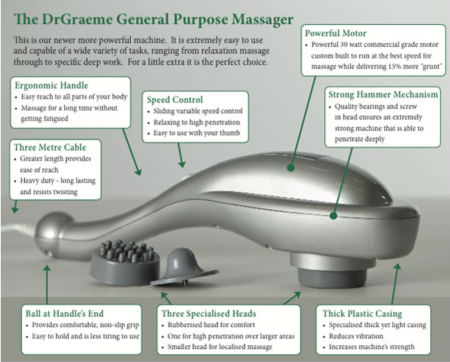 Why self massage in between appointments? The patient’s muscular and soft tissue issues are usually quite extensive and to deal with them effectively (rather than just provide temporary relief) usually requires regular massage over a long period of time. If each massage is extensive and it needs to be repeated a large number of times this can quickly add up to a lot of time and a lot of money. It’s a major reason why most patients never recover as they should, and one of the reasons most musculoskeletal problems tend to re-occur.